I learned quickly that the adage “sell in May and go away” is an investment strategy designed to take advantage of the seasonality of trading that seems to exist within the markets. In essence, an investor should sell stocks in May and buy back near the first of November. They would then hold these stock positions through the next April. Rinse. Spit. Repeat…year in and year out. Why would an investor do this? The strategy is designed to take advantage of the historical trend of stocks to outperform during the November – April time period. In theory, it helps protect the investor from a decline in stock prices during the summer months. There does not seem to be an overwhelming consensus as to why this trend occurs. (And it certainly does not occur every year.) 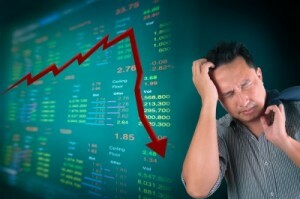 It may be due to many being disinterested in the markets while they are on summer vacation. Some point to greater inflows of cash into the markets during the winter and spring months. Or perhaps investors are falling prey to the herd mentality, as this strategy has been ingrained in Wall Street lore for years. If everyone is doing it, the strategy is probably the correct one. So they follow. Well, not everyone is doing it and here is why I think you shouldn’t either. It’s a short-term investment mindset. This doesn’t fit with who I am or my personal buy-and-hold strategy. I want to be a long-term investor who continually puts money into the market each month. I believe building wealth long-term requires a marathoner’s mindset. I don’t have the desire to think in short, 6-month investing sprints. It requires market timing. “But I know the timing for this strategy,” you say. “Sell in May.” Theoretically, yes. However, so many people know the strategy at this point, they jump the gun and pull the trigger in mid-April hoping to avoid the sell off. If you had done that this year, you would have missed a really nice rally in stocks. Didn’t the S&P hit an all time high last Friday? You miss out on lower price points. “Buy low and sell high” is another great Wall Street motto. What better time to average down on your stock positions or pick up new investments at cheaper prices than when they go on sale. We all love bargains and many times the summer months become just that for stocks. Trading costs. Of course, there will be transaction fees for buying and selling stocks that will eat into our percentage gains. You may also miss out on income from dividends that companies pay during the summer months. And don’t forget about the dreaded short-term capital gains taxes you’ll have to pay. All these could be avoided, or at least delayed with a longer term buy-and-hold strategy. Sure there will be years when the market does not follow these patterns and we cannot predict the future based on past results. But 87 years of history gives us a pretty good indication of what we can expect. So hold on to those investments through the summer. You can still enjoy your vacation. Do you follow this strategy? Since we have reached some historical highs, where do you think stocks are headed this summer? Great post, Brian. I think because people feel overwhelmed or uneducated about investing yet are investors that they tend to follow the herd mentality. What’s everyone else doing? If it’s good enough for them, than it must be good enough for me. The best strategy is based on your goals, not what everyone else is doing. I agree Shannon. And it’s the uninformed and uneducated investor that ends up doing the wrong things and getting burned. Then they are turned off from investing for a long time which is not good either. Wow, I wrote nearly the exact same post for one of my staff posts that will be going live on Friday…Lol! I took the same basic angle. Any benefit that you might get is lost out on because nearly every one knows about it. I generally do not follow it and have a set amount of cash on the side to take advantage of any dips to get in at a lower price point. Cool! Great minds think alike I guess. 🙂 The summer is usually a great time to buy. Patience is key though. Wait and find a window of two or three weeks when the market seems to be in a downtrend before pulling the trigger. Much agreed. Also, any “rule of thumb” that the majority of the market is acting upon is bound to have serious shortcomings for that reason exactly. I don’t know if agree on selling my stocks in May because as you point when stocks are down you can buy shares for a lot less and when they do go back up in the fourth quarter you may be able to see some great gains. Because I have a long-term mindset, I actually love it when stocks go down. I don’t worry too much about short-term market slumps. I know I am picking up shares in good companies at cheaper prices that should be worth a lot more in 30 years at retirement. Investing makes my head spin. I am doing research on the basics and trying to find some good books to read. I guess it’s just like budgeting to me, I am taking it slow while figuring out one piece at a time.